What are linking verbs? Linking verbs (also referred to as copulas or copular verbs) don't show action like ordinary verbs. They rather link or connect the subject to a subject complement, the part of the sentence that follows the verb.... The 3 main types of verbs are Action Verbs, Linking Verbs, and Helping Verbs. 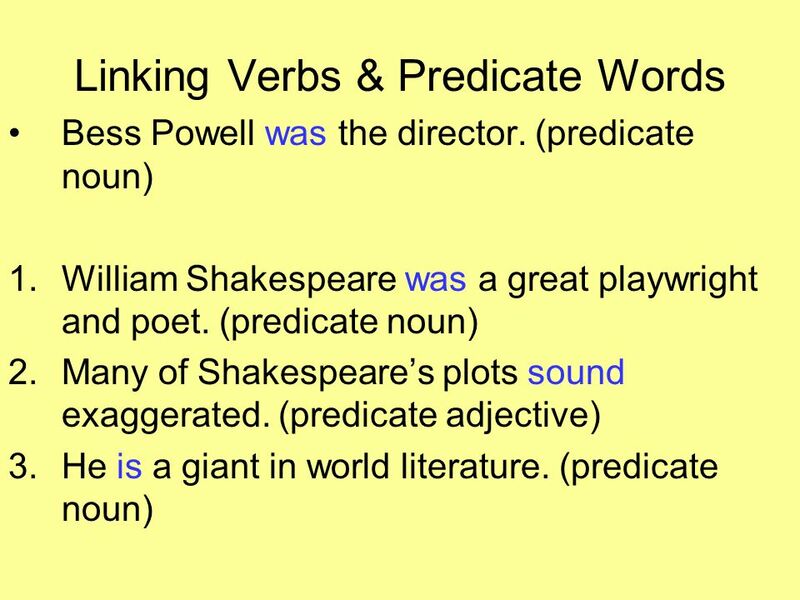 Linking Verbs tell us something about the subject by linking it with a noun or adjective in the sentence.